This month our very own Rev. Fr. 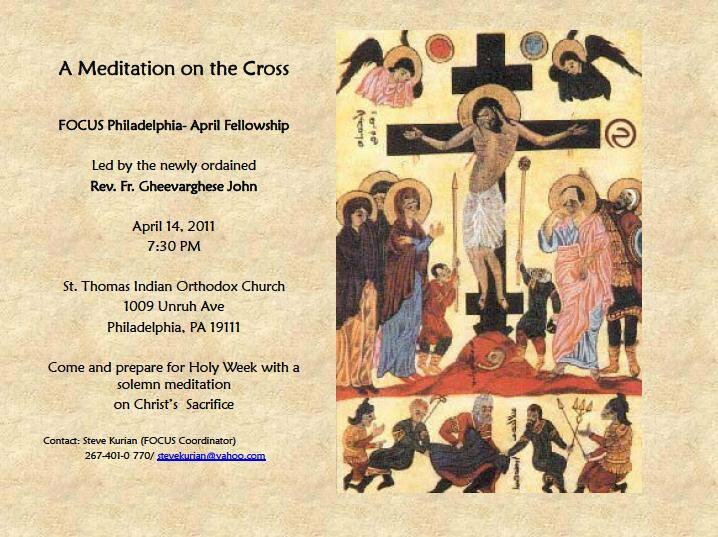 Gheevarghese John will be leading us in a reflection on the Cross. We cordially request all young professionals and couples over the age of 23 to attend both the Evening Prayer at 7:00PM and fellowship immediately following. Refreshments will be served!